It’s MIDTERM time! It is stressful and eating right is important for success. Eating well-balanced meals before study sessions or exams is a challenge for most of us because there is a shortage of time. Here a quick and easy meal that can be prepare in advance that will provide plenty of protein and fruit that will give you the energy you need to prepare and take the exams. 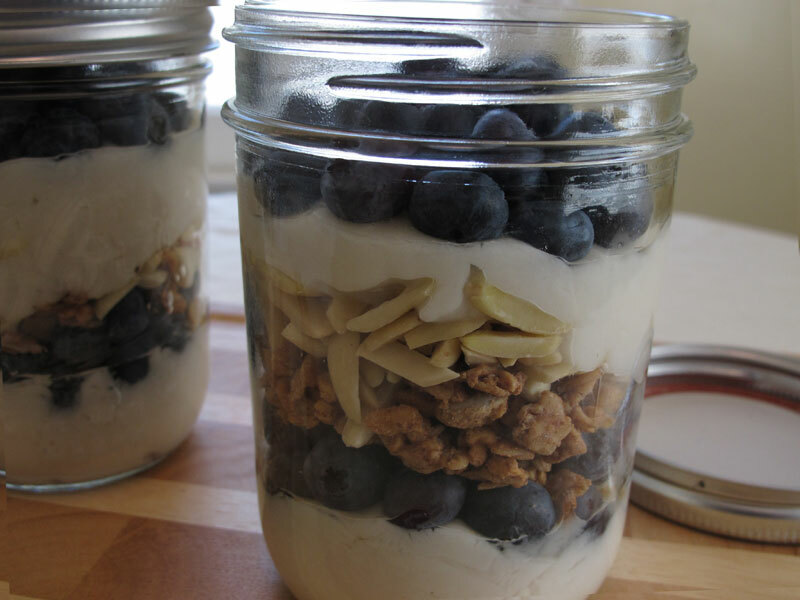 Use a jar or any container that can be sealed (I used canning jars). Add half the yogurt as the first layer. Add half of the fruit as the second layer. Add the last of the yogurt. Add the last of the fruit. Seal, refrigerate and enjoy anytime. – These can be prepared and kept for several days. Usually, I make 2 or 3 at a time, just double or triple the recipe according to the quantity you want to make. – Any type of yogurt can be used. I used plain yogurt.